One Valenzuela: Cariño Resort at Punturin, Valenzuela City: A Great Place to Celebrate! 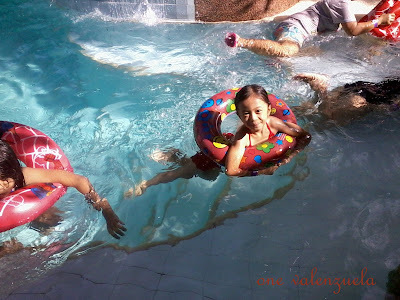 Last Saturday, One Valenzuela and Little One Valenzuela packed their ever trusty Hawk bag with swimsuits, SPF80 sunblock, floaters, and towels for a quick dip at a local resort. Around 6:30 in the morning, they are on a jeepney going to Malinta Tollgate. 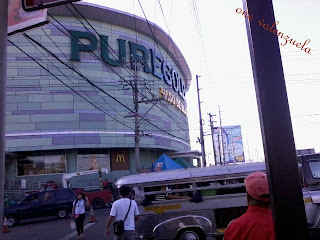 By 7 o’clock, they already found themselves in front of Puregold Paso de Blas. Before walking to the tricycle terminal bound to Cariño Resort, they bought some chocolate bars and cold drinks at Mercury Drugstore. “Malapit na po ba, Ma?” (Are we there yet, Mom?) Little One Valenzuela asked One Valenzuela in the tricycle as they passed by several painted walls of Brgy. 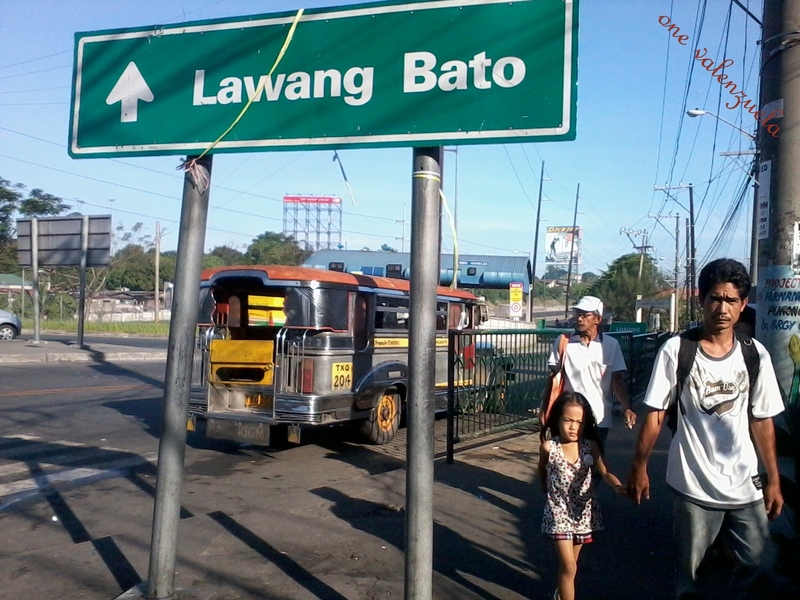 Lawang Bato and Brgy. Punturin. 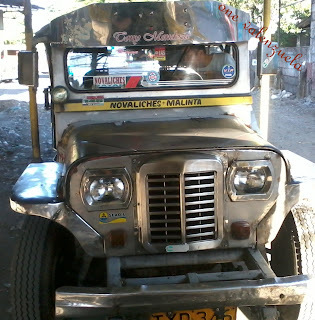 It took us about ten to fifteen minutes to reach Cariño Resort. 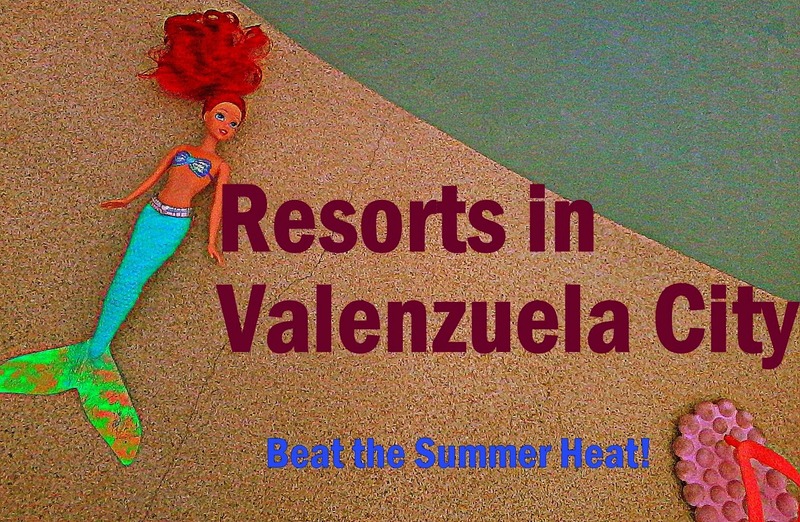 Since Little One Valenzuela has been asking the whole week for some swimming escape, the ride seemed too lengthy for her. 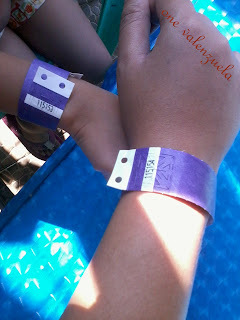 After paying the necessary fees, they were given purple waterproof wristbands/tags. Comfortable to wear, the wristbands/tags are indeed waterproof. 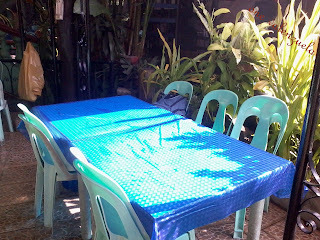 Little One Valenzuela removed hers at home and it is still pretty intact. One Valenzuela loved the atmosphere of the resort. 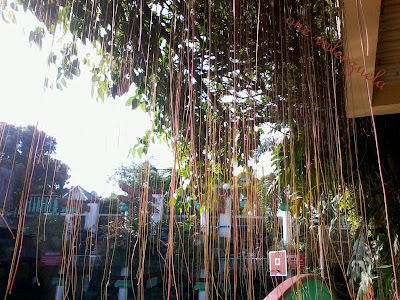 It is full of foliage and dangling flowers! The flowing water on rocks and jars gives a calming effect. 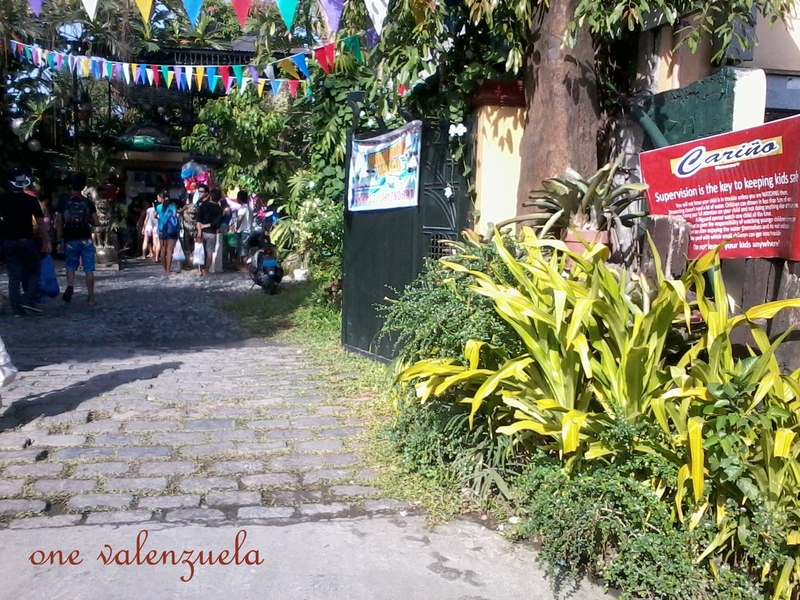 No wonder some people One Valenzuela know say that it is a good place for a photo or a video shoot. Cariño Resort is divided into two major areas- Pavilion One and Pavilion Two. Pavilion One has a slide. Much of the swimming pool here is 7 feet deep. It also has an area which is around 3 feet in depth (my estimate). Here, Little One Valenzuela stayed and practiced her baby frog kicks. A mini jacuzzi can also be seen in Pavilion One. Flowers and leaves give shade over tables near the pool. Pavilion Two is bigger. Water depth range is from 4 to 5 feet. Most of the visitors flock here since the water is a bit shallow. A bridge and several rock formations add beauty to the place. More tables and cottages are also situated in Pavilion Two. 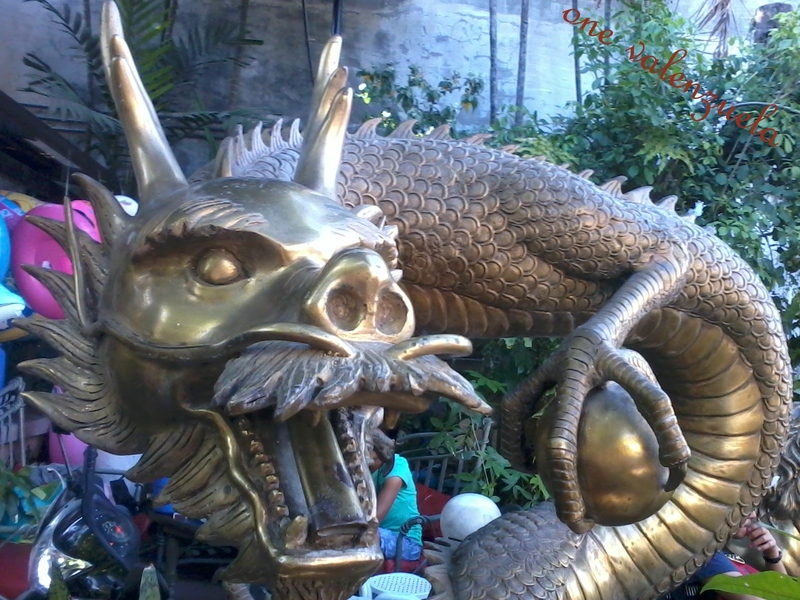 Photo taken at around 11 a.m. 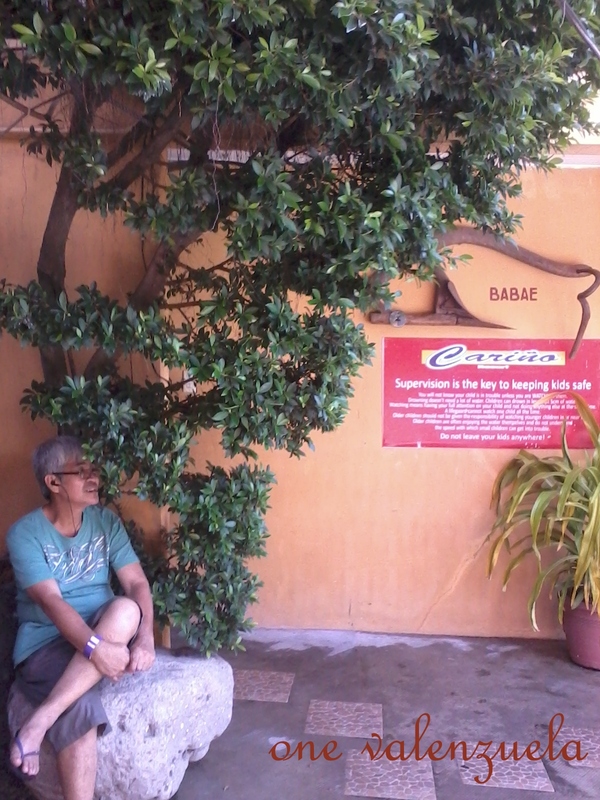 The Calesa was already reserved when we got there. 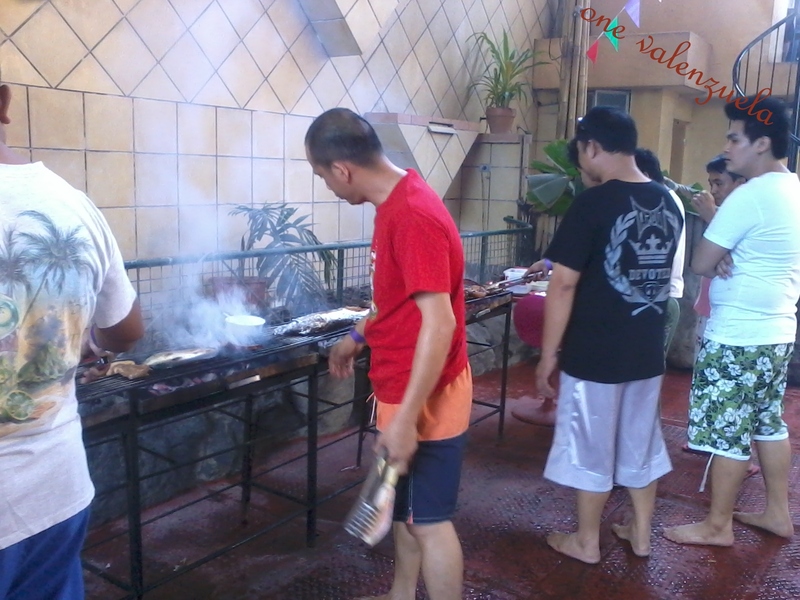 Love the smell of those grilled meat and fish. Yum! One Valenzuela and Little One Valenzuela stayed at a table in Pavillion One. One Valenzuela prefers the 7 feet pool. She can readily see Little One Valenzuela, with her floater, having some water fun from the table they got. That whole day, water is their best friend. At last! 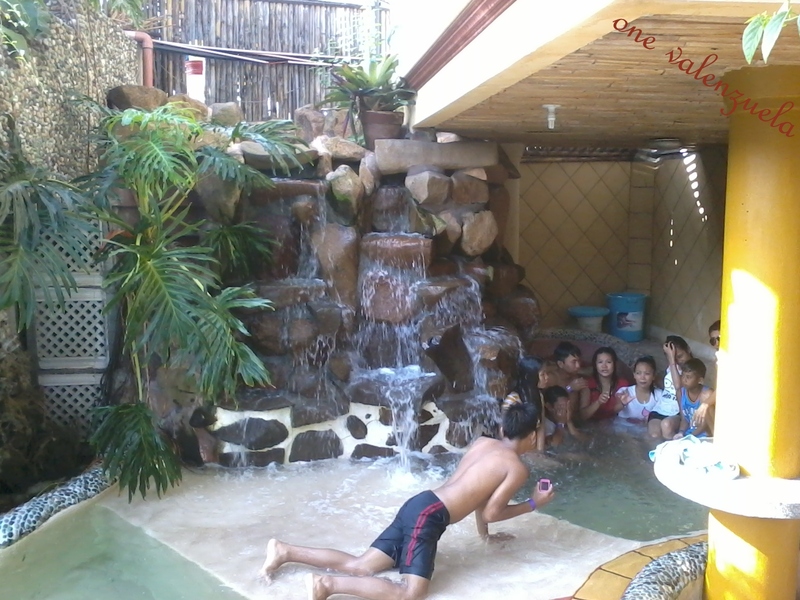 Wading in Cariño Resort Pavilion 1 pool. 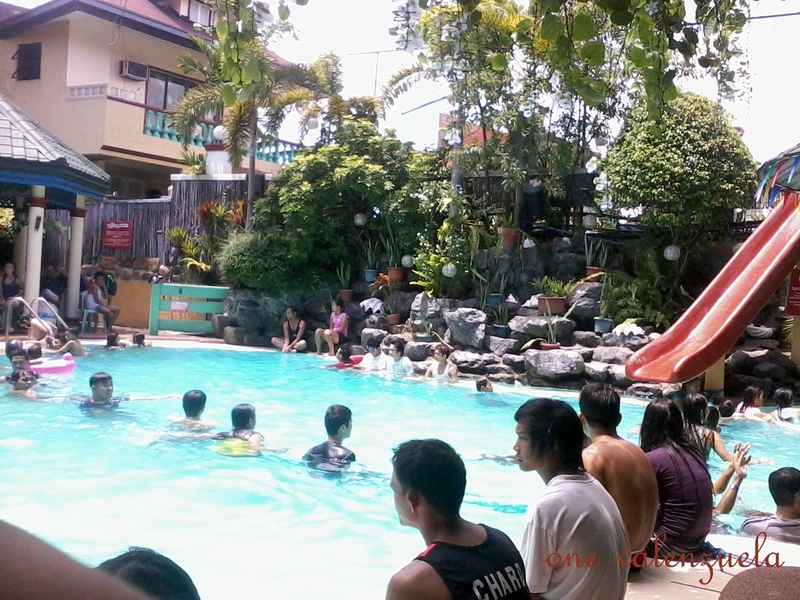 By observation, One Valenzuela saw several Cariño Resort employees watching over the guests who are swimming in the two pavilions.The rules and regulations of the resort are put up in several locations. Reminders are also placed near cottages and tables. Two thumbs up for that. By 4 p.m., One Valenzuela and Little One Valenzuela are already in front of Cariño Resort looking for a tricycle to ride. 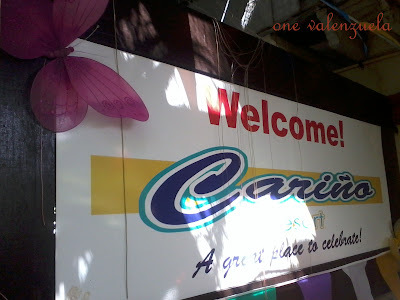 One Valenzuela glanced back at the resort and read “Cariño Resort: A great place to celebrate”. Yeah, it is indeed a great place to celebrate and share some water fun with your family, relatives, and barkada. You can bring your own food inside the resort. You can also do some grilling in the resort. One Valenzuela ordered some fried calamares (Php130) and 2 cups of rice (Php20/cup) from Cariño’s menu. 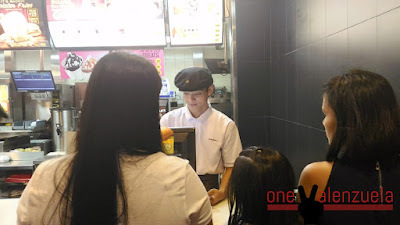 The resort also offers various types of fried chicken, noodles, and fried rice. 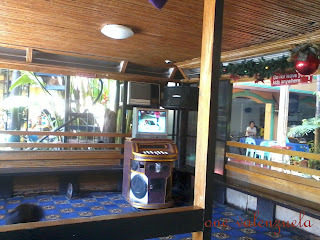 They also have light beer in buckets (note: hard drinks and extra strong beer are not allowed), crispy pata, sizzling plates, and kilawin. Check their menu for a more complete list. 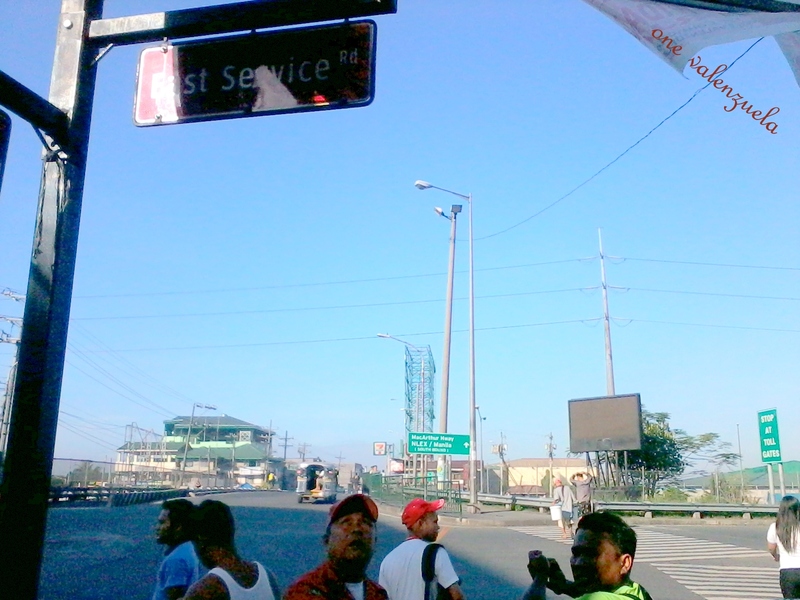 From South Supermarket in Malinta, McArthur Hiway, go to the jeepney terminal bound to Malinta Tollgate/Exit or Novaliches Bayan. 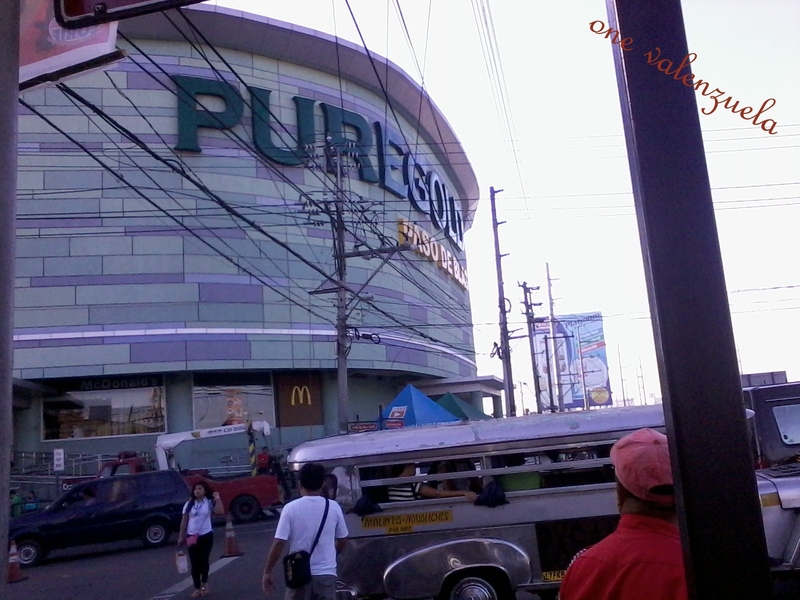 When in Malinta Tollgate, go down at Puregold Paso de Blas. Cross the road and walk a bit to the East Service Road bound to Lawang Bato. You won't get lost. Big signs! 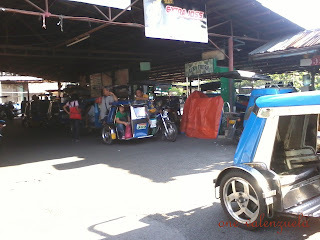 You will find a tricycle terminal along the way. 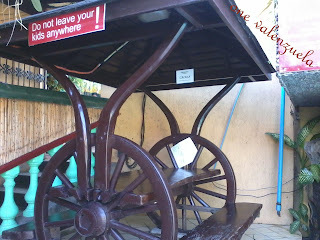 Ride a tricycle (blue) and ask the driver to bring you to Cariño Resort. Cariño Resort is near St. Joseph the Worker Quasi Parish Church. To Cariño Resort po, Manong! Like most resorts which are teeming with people during the hot summer months, One Valenzuela advises fellow Valenzuelanos to be up on your feet early for your scheduled swimming trip so you can choose the cottage/table that you want (walk-in guests). At Cariño Resort, you can also reserve cottages and rooms beforehand. 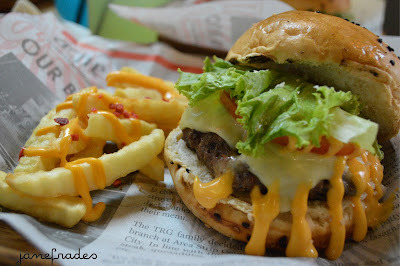 Thank you for dropping by One Valenzuelano's post! 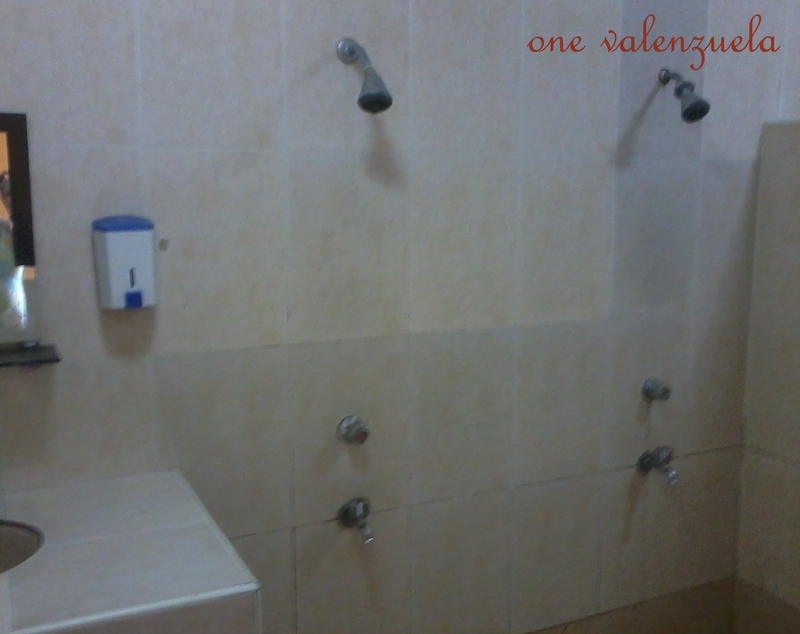 magkano po ung rate ng mga rooms nyo? Hi Myra! 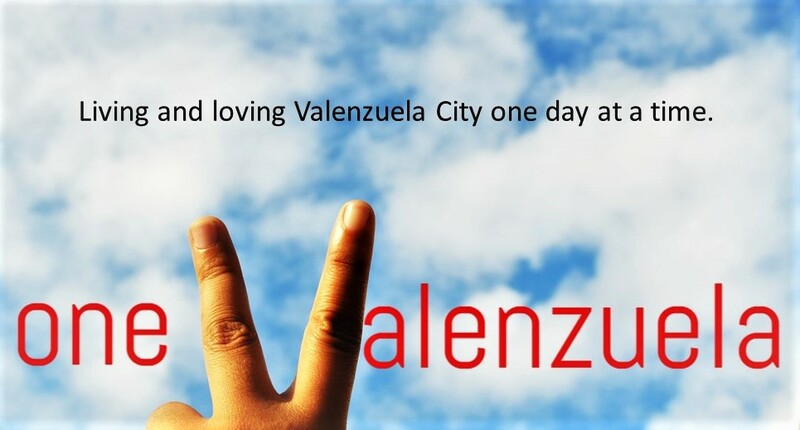 Thank you for visiting One Valenzuela. 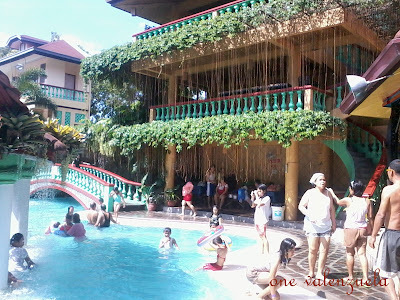 I believe Carino Resort has posted the rooms' photos along with the rates on their Facebook page. 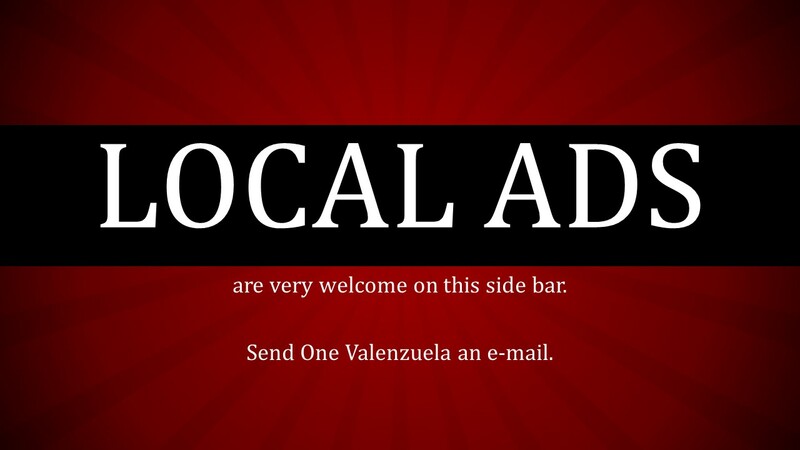 You may also inquire on the given numbers above. 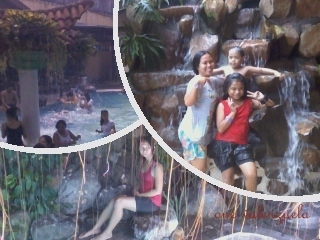 Happy swimming! 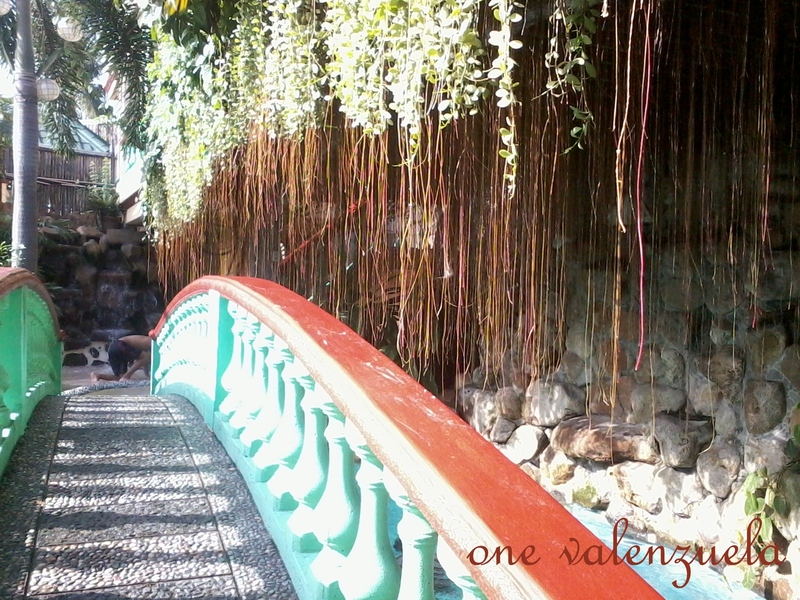 Ilove your blog so informative.. you detail almost everything..
Hi One Valenzuela Blogger we appreciated everything you made in you're blog about our resort its very informative. 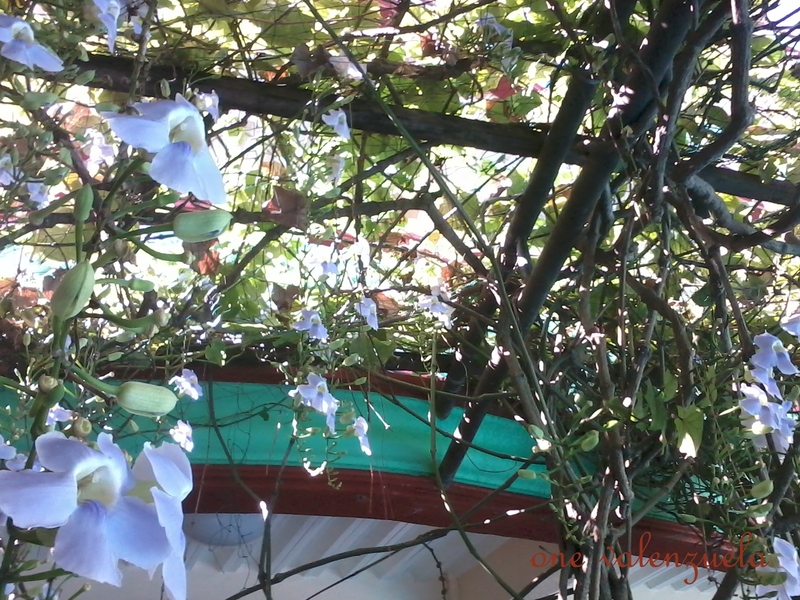 I Just want to ask you're permission to share your blog on our Facebook account? Hi! Yes, you may share the articles' links to your Facebook account. Thank you for spreading the word. Hoping that I'll have more time to go around the city soon (esp. next year's summer!). 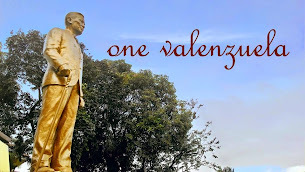 Salamat po sa suporta sa blog na One Valenzuela at higit na lalo na po sa ating lungsod. Sir/Maam. 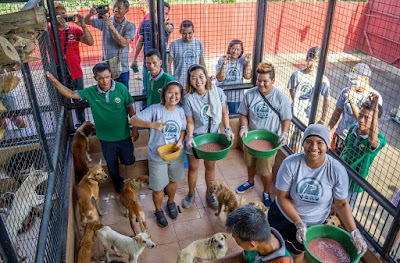 Diba po may pang overnight din po kayo? Chaka parehas pa din po ba yung bayad kada tao? Thanks Bien for dropping by! 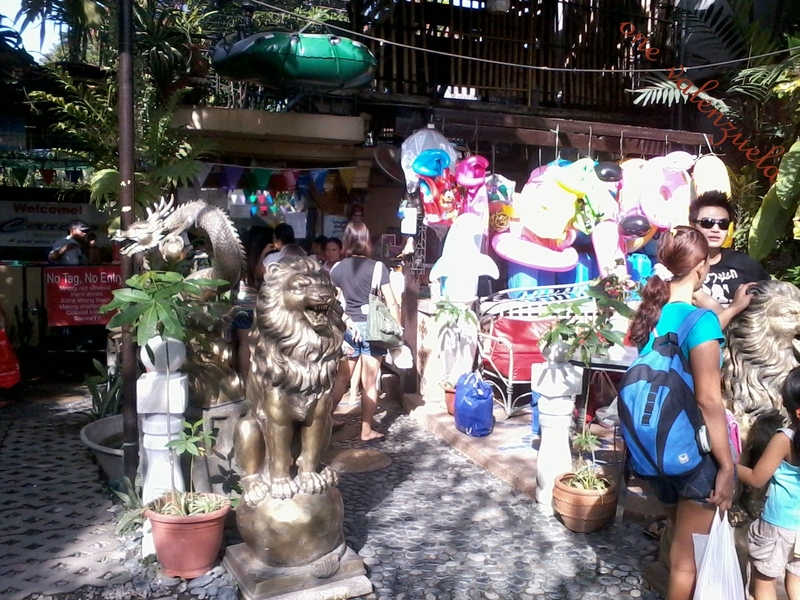 I called Carino Resort this morning for you: Php190 for adults and Php140 for kids. Same rates for the tables and cottages. Overnight: From 6pm to 4am. magkanu po night swimming? tska room rates po kayo? What if po mag check in ng 12am or 1am what time po check out namin? 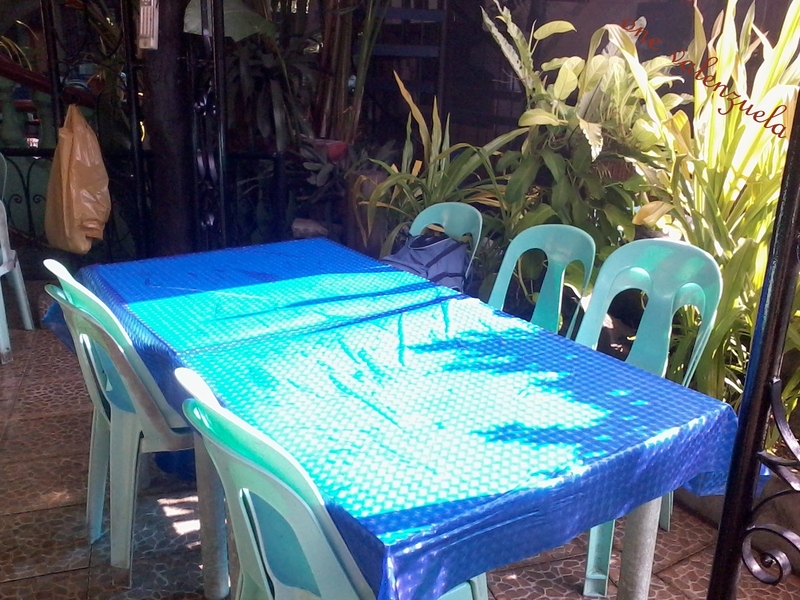 Noong nagpunta kami, 2 ang pools. 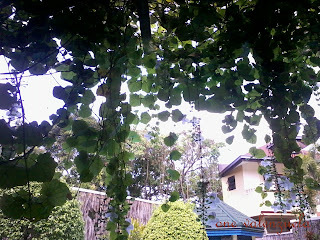 A friend of mine told me na parang nagdadagdag ang resort. Not sure though. bukas po ba kau khit anung araw? Better give them a call or check their FB page. Not sure po about their schedule this Holy Week. 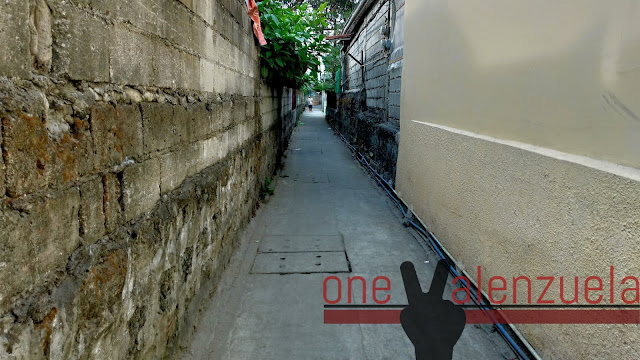 magkano po entrance po kapag araw tsaka po sa coutage magkano po yung may kuryente ? 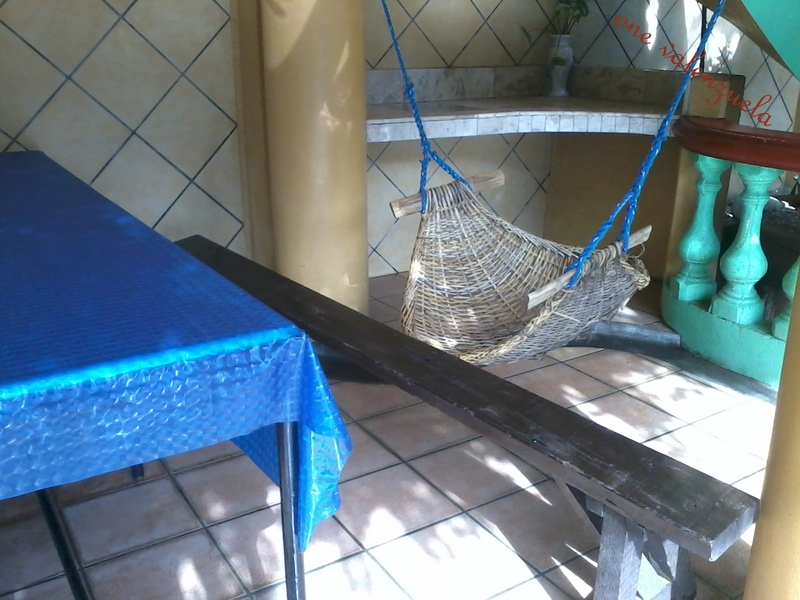 hi, ask ko lng po kung mgkano overnight, cottage, and until what time po pag nightswimming? please reply. thanks. Sakop na po ba nung P160 lahat-lahat? 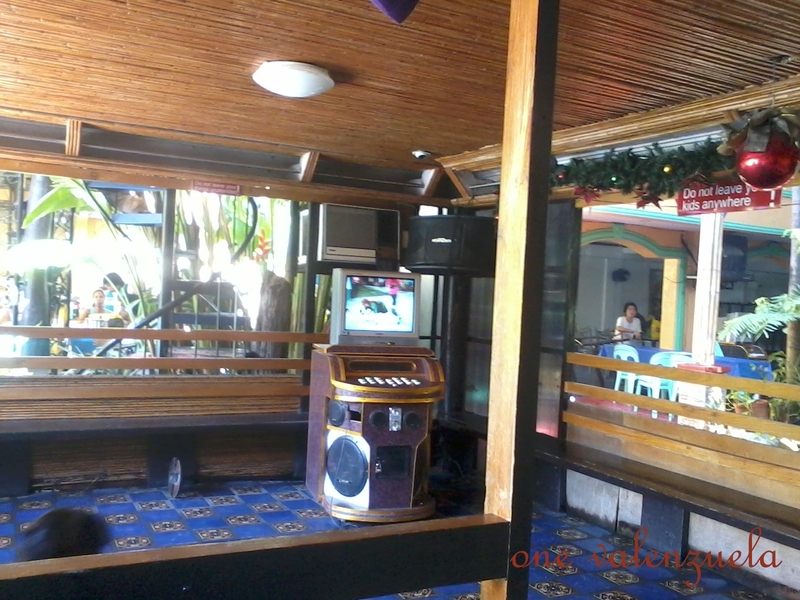 Yung 2 pool, pavilion saka videoke? Pls reply. Ano po yung rules and regulations nyo dito? Is it possible for us to bring our own drinks like beer.. if iTs ok?.. what kind of beer? Good day. 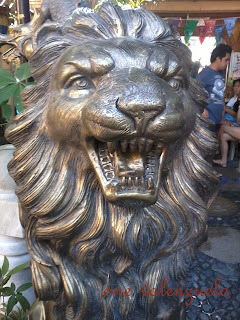 I justwant to ask po about sa Cottge Fees and magkano po ba ang day time entrance fee ?